Forward HOA PoliticalScene to Your Friends! They Will Thank You for It! Forward HOA PoliticalScene, Get Free Stuff! 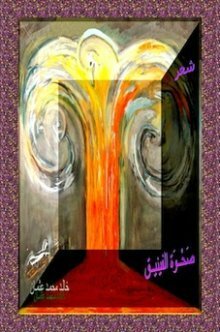 Forward HOA PoliticalScene, if you want some useful ebooks free, to read. Eventually, you may want to forward the HOA Political Scene to your friends paying it forward and without expecting to get anything in turn, because you think that the HOA Political Scene is good and it expresses some of your political opinions. So, whether you want these gifts, or not… if you liked the Horn Arica's Network and thought that you are obliged according to your national sense to expose it, please do forward it to your friends using the form below. Read more about the gifts for forwarding HOA Politicalscene below the form and make sure of my promise. They will improve your life. You will find some good e-books to download and read when you forward HOA PoliticalScene by submitting this form. You will see all the gifts on the second page. This process of giving back something for something you did is intended for people who are in Europe, Australia and America as they are familiar with such process. However, if you're living in any other continent, you just do things like this without expecting a return on your efforts while forwarding HOA PoliticalScene. But, when you did, it is up to you to download any of the e-books on the second page. 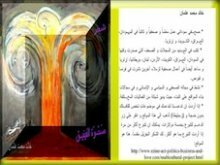 If you speak Arabic, forward HOA PoliticalScene and receive an e-book copy of my poetry book, with the gifts mentioned above. Just enter "send me your book" at the bottom of your message in the big box. People can buy the RISING of the Phoenix from Lulu. The best of this process is that you and all of your friends will get the same gifts that keep on giving when they use the same process to forward HOA PoliticalScene. When you recommend HOA PoliticalScene, emails to your friends will get out from my desk to them to encourage them to visit the website and to subscribe to our newsletter the "HOA's Political Scene". I will send these emails on your behalf attached with the message you will write in the big box in the form. When your friends do that and confirm their subscription to the newsletter, they will receive the same invaluable gifts you have received from this website. So, please do encourage them to confirm their subscription to the newsletter in your message field. If you have not subscribed to the newsletter yet, do that through the form on the top left column on this page to see how that works and to read about the political development in the Horn of Africa regularly. Let's be friends and forward HOA PoliticalScene Newsletter to your friends today. Use the small buttons you see at the top left and right columns, or at the bottom of the page to share "forward HOA PoliticalScene" with your social media, or tweet the page. Thanks. Don't hesitate if you have any comments to use the comments form below. Please, always write in short sentences and in short paragraphs, like what you see on "forward HOA PoliticalScene". Comments on forward HOA POLITICALSCENE appear at the second section of the page above.